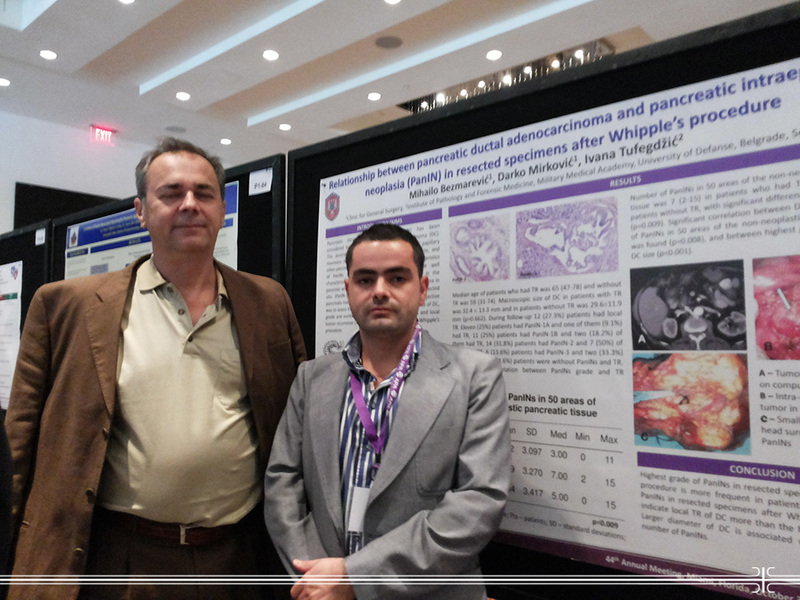 Physicians from the MMA Clinic for General Surgery Prof. Dr. Darko Mirkovic and Dr. Mihailo Bezmarevic participated at the 44th Annual Meeting of the American Pancreatic Association held in Miami, USA, during October 30th -November 2nd, 2013. This is the most significant world congress on pancreatic diseases which included also the meeting gathering numerous international societies against pancreatic diseases, European Pancreatic Club, International Association of Pancreatology as well as Japan Pancreas Society and Korean Pancreatic Society. Active participation had all leading clinicians and researchers, and world medical centers carrying out the scientific-research and pancreatic disease treatment, while our team presented two posters under the titles: "Relationship between pancreatic ductal adenocarcinoma and pancreatic intraepithelial neoplasia (PanIN) in resected specimens after Whipple’s procedure" and "Insulinoma of the Pancreas: 60 Years Experience in Diagnosis and Treatment". In addition, Dr. Mihailo Bezmarevic won the second price at the concourse organized for 34 young researchers.